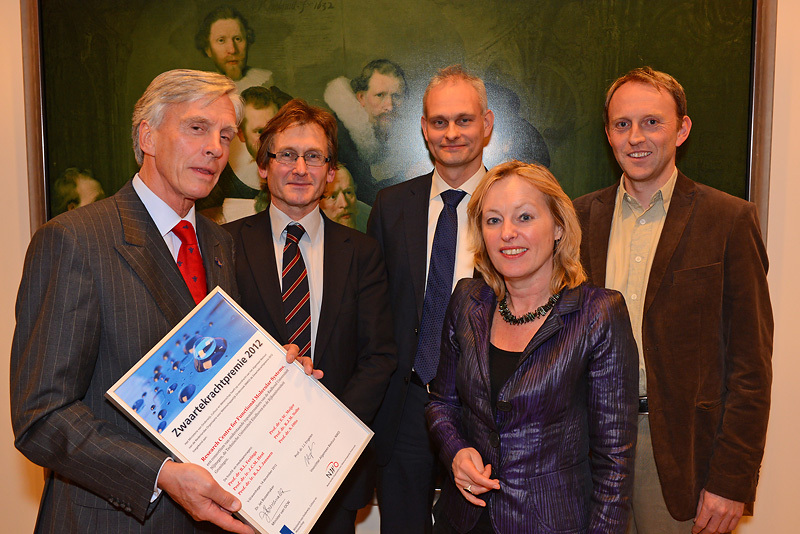 The Research Center for Functional Molecular Systems (FMS) is a partnership of the organic and macromolecular chemistry teams of the Eindhoven University of Technology, the Radboud University Nijmegen, and the University of Groningen, brought together to extend the frontiers of chemical self-assembly. 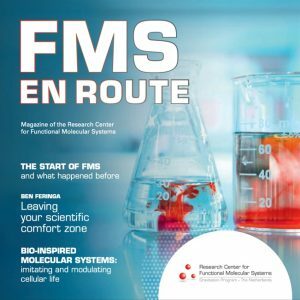 The FMS Research Centre was founded on February 1, 2013, and has been established through a 26 M€ grant from the ministry of education, culture and science of The Netherlands in the framework of the novel Gravitation program. This highly interdisciplinary team of outstanding scientists is seeking to gain a deeper understanding of the molecular mechanisms, structures, and chemical processes that lead to living systems. Towards this goal, four research programs have been established to complete a single grand challenge: the construction of functional life-like molecular systems. international recognition in the area of functional molecular systems.